Even though it's summer, I remain focused on keeping the learning alive & active in our home. As always, I try to keep things fun and easy so that the Lil Divas want to participate. One of my favorite things to do is to make whatever we are learning - a game. My girls love to play games so I can always entice them this way, no matter what it is. What I love about this game is the minimal set-up and materials required. You can use a dry erase board like we do or use a chalk board or magnetic doodle pad - whatever you have handy. 1. Choose your target sight words, spelling words, vocabulary words, etc and write them on your board/pad. We use this to practice sight words and spelling so I like to write each word twice - once with the correct spelling and a second time with an incorrect spelling. 2. 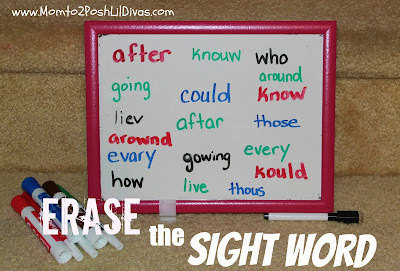 To play I call out a word and the Lil Diva has to erase the correctly spelled sight word. 3. Continue until all words have been called out. This is such an easy game to set-up and play and it is a great way to have a quick review. The Lil Divas are always excited to play with dry erase boards and markers and by turning this into a game it becomes fun versus being just an ordinary/boring review. 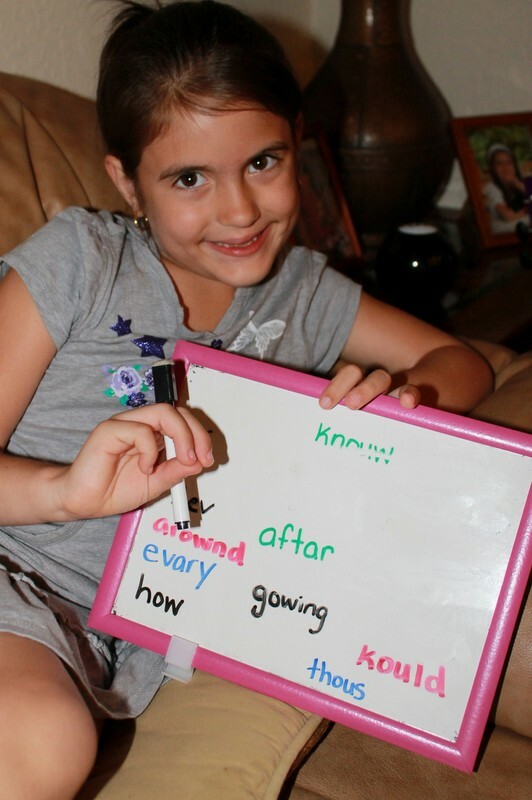 What learning games do you play with dry erase boards, chalkboards or magnetic doodle pads? 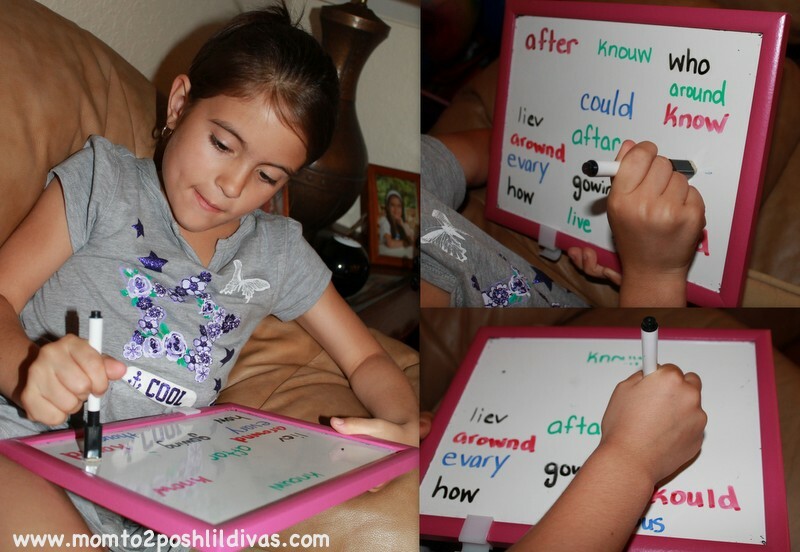 They are such fabulous learning tools/aids! It is so important to do, isn't it! It doesn't have to be complicated either but the more active they remain in learning over the summer, the better it is for them. :) Thanks for stopping by and hope you are having a wonderful summer. Another way to review sight word is eggy 250 from the outline reading progrom "the Reading Egg". It covers 250 sight words and cost $2.50 though itunes. Give it a try for your girls, I know that my son loves it. My daughter had a reading eggs account from her school through the year and loved it. She asked to go on there daily. I will have to check out the app. Thanks so much for sharing that with me. Your Welcome, anything to help little readers enjoy reading. So easy, so brilliant. 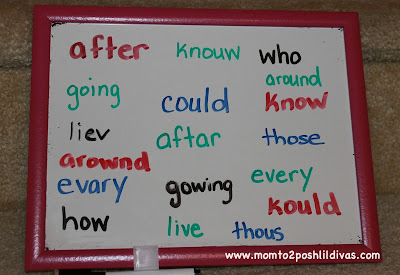 Thanks for sharing this sight word game. I will definitely use it with my kiddo. Isn't it the simple things that are often the best! :) Hope your kiddo enjoys it as much as my daughter did. I love it! Pinning for future use. Thanks for stopping by Allison. Hope you find it useful.